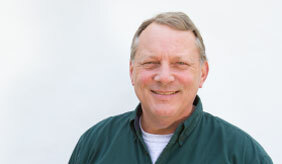 Chris Probst has worked in the construction and land development fields for over 30 years. He joined Brenner Builders as a Project Manager in 2007, charged with ensuring that your project is appropriately priced and that all the necessary materials and labor are reflected in your contract. Chris’ hands-on knowledge of all aspects of construction, from framing to millwork to interior design coordination, has prepared him to oversee your project with a with a trained eye for efficiency. “I was initially attracted to working for Brenner Builders because the teams are known for being cohesive and knowledgeable. But, I was also intrigued by the seamlessness of the Brenner Builders construction process and the use of cutting edge technology. I’m happy to say the company’s impressive reputation is based in fact.” explains this married father of three lovely daughters, who enjoys trout fishing and playing drums in a dance band.